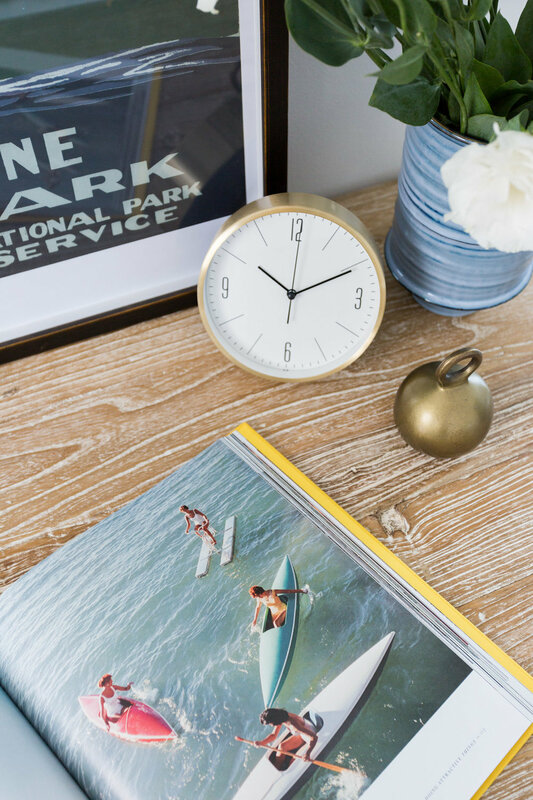 Today we're inviting you into the guest bedroom reveal of our Navy Street project. But before we get to all that guest bed goodness, let's chat project details. This single family home was outdated and was in need of a healthy dose of character. We transformed the space by updating the fireplace, adding custom built-ins and fully furnishing the living room, dining room, guest bedroom, and master bedroom. For the guest bedroom, we wanted the space to be the ultimate retreat. We achieved this with a fresh coat of our go-to white paint; Chantilly Lace by Benjamin Moore. Next, we layered in peaceful and serene colors and decor that's in keeping with a relaxing seaside bungalow. 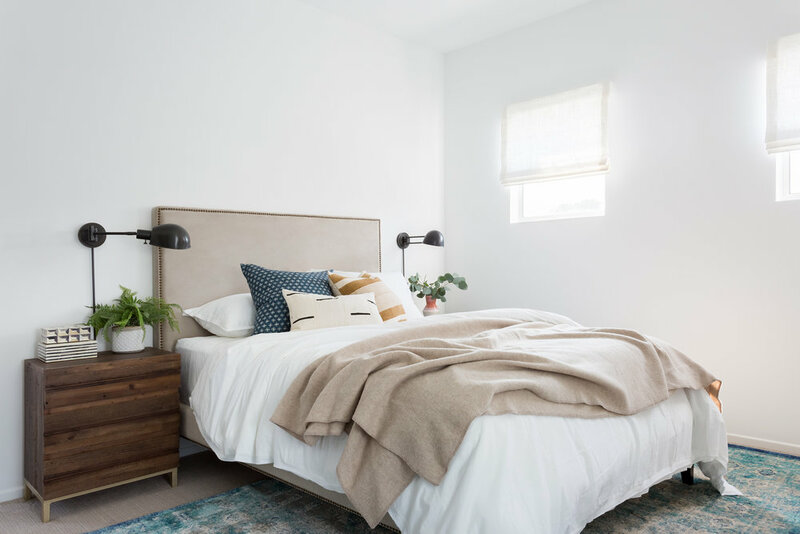 When it came to budget, we were able to save by using the client's existing bed, previously used in their master bedroom and splurged on the accent pieces like the desk, chair, and nightstands. Take the full tour of this sweet retreat and stay tuned because next week we're sharing the Navy Street living room. Just wait until you sneak a peek at the tiled fireplace.